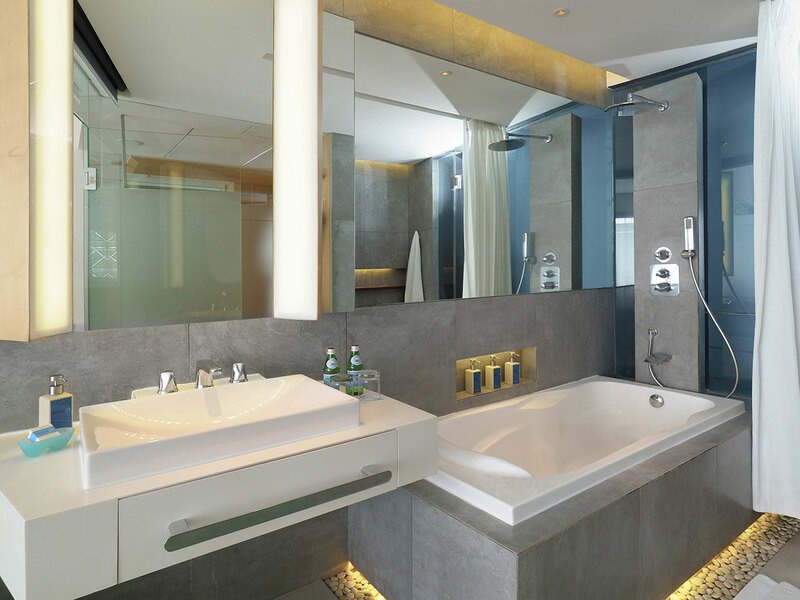 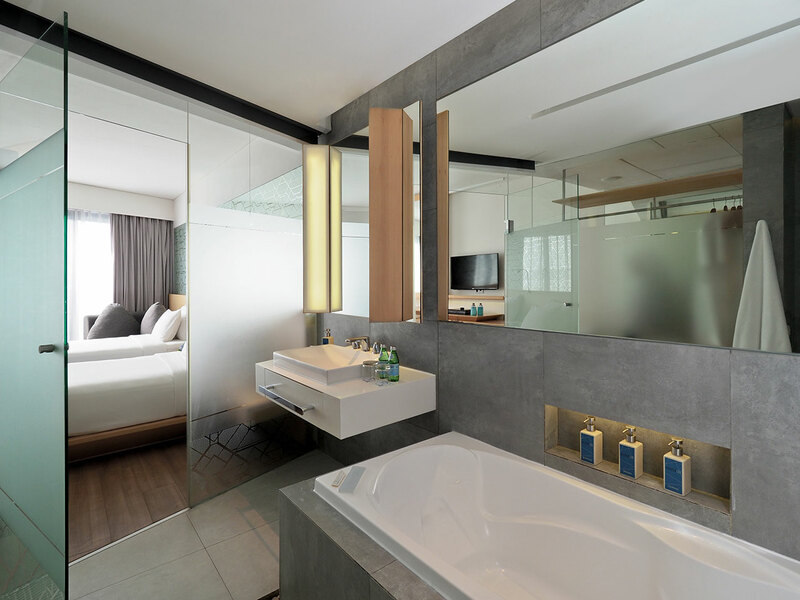 Our Deluxe Jacuzzi Rooms are stylishly designed to maximize comfort but there’s an extra bonus: your very own in-room Jacuzzi bathtub. 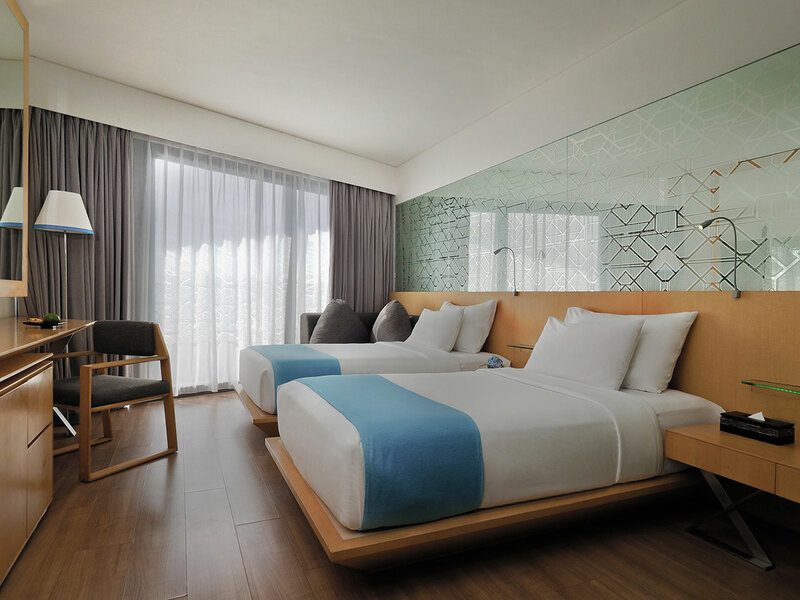 You will also find all the Deluxe Room benefits such as a flat-screen TV, rainforest shower, sofa/day-bed and a small balcony. 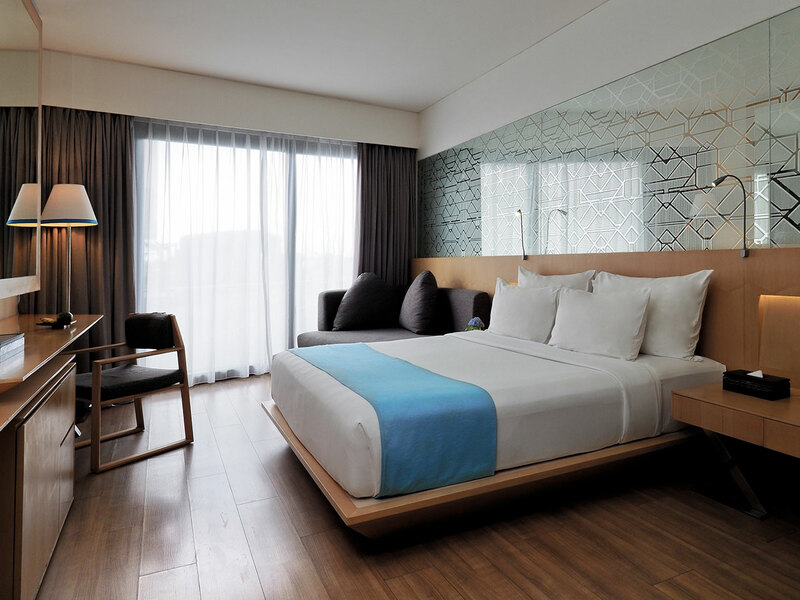 Each Deluxe Jacuzzi Room room has been carefully designed to offer you the perfect retreat, whether you have been shopping, sightseeing or enjoying Seminyak’s legendary nightlife.